Salima is using Smore newsletters to spread the word online. "How does documentation of mathematical discourse using technology provide a venue for metacognition of student learning"
This paper explores the notion that documentation of mathematical discourse using technology provides a venue for metacognition of student learning. A Case Study in Peel District School Board elementary classrooms involving 4 schools and 6 classrooms documented via Ipads, students interactions with mathematical problems during `Three Part Lessons’, allowing educators and students to inform their learning and practice, analyze their thinking patterns, and substantiate assessment `as` learning to promote higher metacogntive abilities. 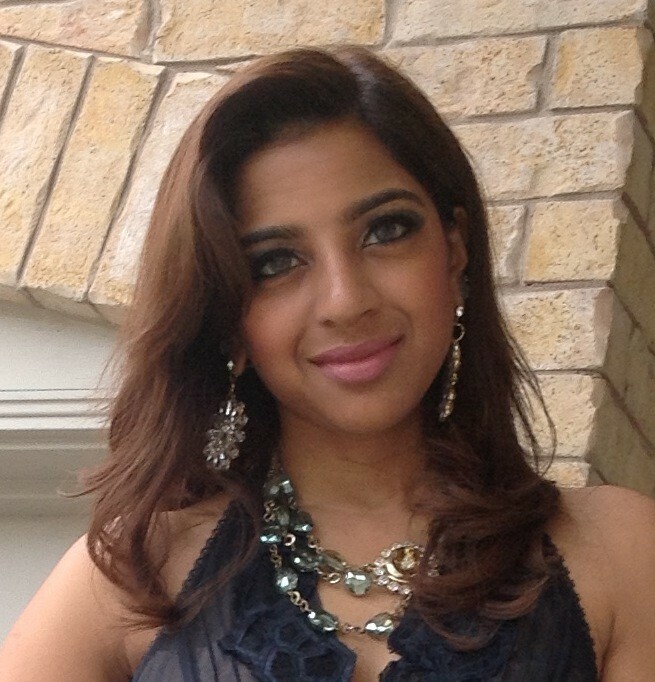 A Student Work Study Teacher (SWST) conducted the research and examined the data. This study was grounded in research around Pedagogical Documentation and Asking Effective Questioning Monographs from LNS's Capacity Building Series, in addition to Educational Resources. "When pedagogical documentation is used as an assessment 'for' and 'as' learning than it is not only our students thinking that becomes visible through pedagogical documentation, but our thinking as educators become visible as well, opening up the possibility for shared reflection on the learning process"
1. Documentation involves a specific question that guides the process, often with an epistemological focus (focus on questions of learning). 2. Documentation involves collectively analyzing, interpreting, and evaluating individual and group observations; it is strengthened by multiple perspectives. 3. Documentation makes use of multiple languages (different ways of representing and expressing thinking in various media and symbol systems). 4. Documentation makes learning visible; it is not private. Documentation becomes public when it is shared with learners-whether children, parents, or teachers. 5. Documentation is not only retrospective, it is also prospective. It shapes the design of future contexts for learning. Giudici, C., Krechevsky, M., & Rinaldi, C., (Eds.) (2001). Making learning visible: Children as individual and group learners. Reggio Emilia, Italy. Take a look at this video on Reggio Emilia Inspired Documentation. 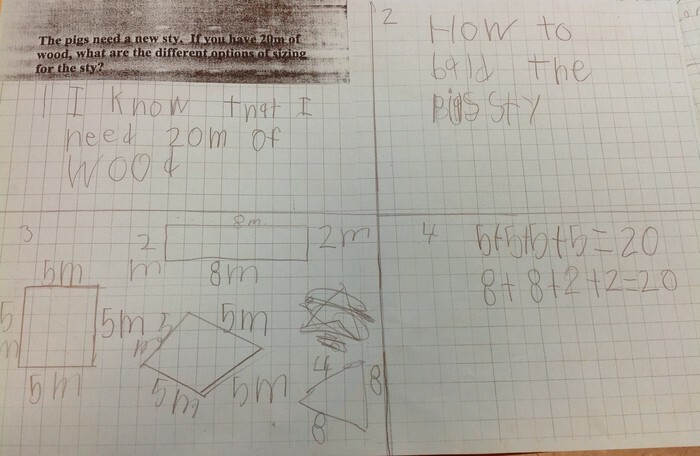 When students talk about mathematics in a purposeful way it reveals their understanding of concepts and the thinking behind their reasoning. Research shows that “asking students to talk (or use Talk Moves) about mathematical concepts, procedures, and problem solving helps students understand more deeply and with greater clarity” according to Chapin, O`Connor and Anderson. 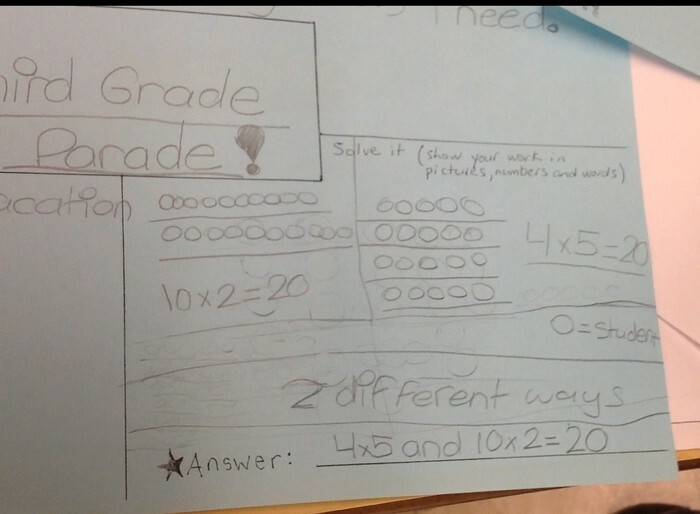 Students engaged in math talk with peers and teachers and when provided strategic questions can deepen their understanding of how they arrived at a solution and the process that drew them there. 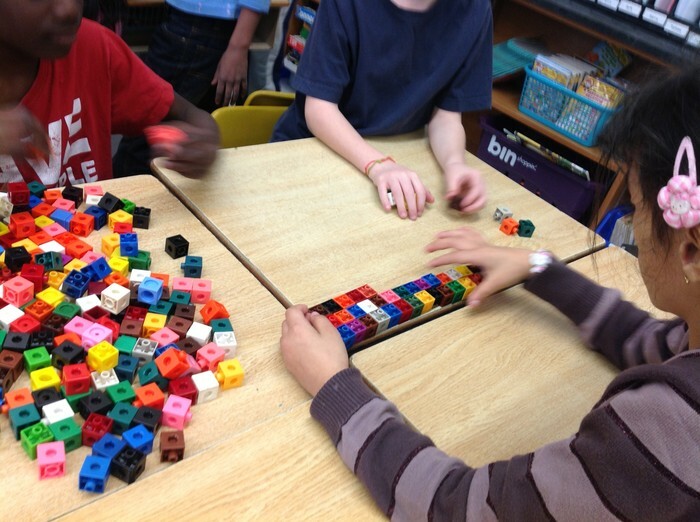 According to Dr. Marian Small “teachers can prompt students with probing questions to elicit more mathematical thinking”. 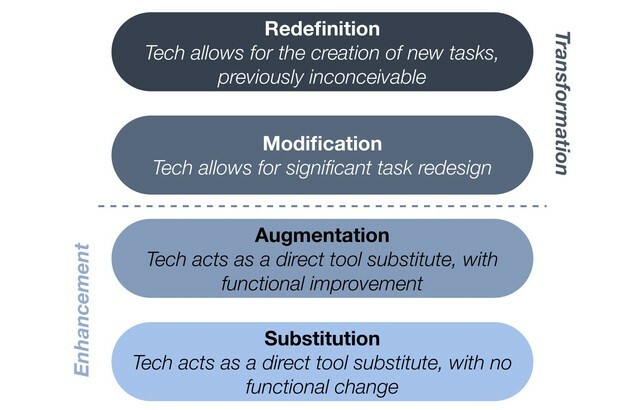 According to Ruben Puentedura’s SAMR model, technology can impact teaching and learning at these four levels “Substitution”, as a direct tool substitute with no functional change; “Augmentation” a direct tool substitute with functional improvements; “Modification”, allows for significant task redesign; “Redefinition”, allows for the creation of new task, previously inconceivable. "I Don't Like The Question"
We need to listen to them! They will tell us what they don't like, what they need and how they think! 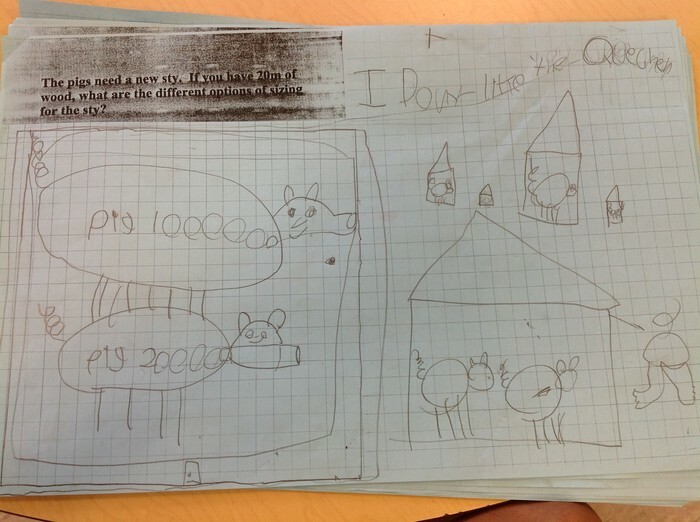 When a students states "I don't like the question" (as seen in the top right corner of the picture), it suggests a series of problematic issues with the ways in which we present mathematics to young children and how we expect them to engage with mathematics. In essence if a student dislikes the question from the start then the students has already posed a barrier for learning. Interest, understanding and action halts for that student. Disliking something, particularly mathematics from the initial problem to solve, already sets the stage for failure. SWST: What do you think about your work so far after watching the video again? Student: I think there are a lot of different answers. SWST: What do you mean? 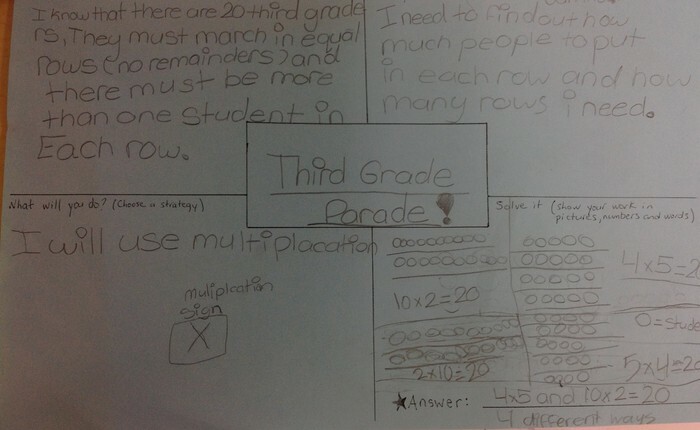 Student: Well I did only sides with 5 and 5 and 5 and 5. And I could do sides with different measurements. 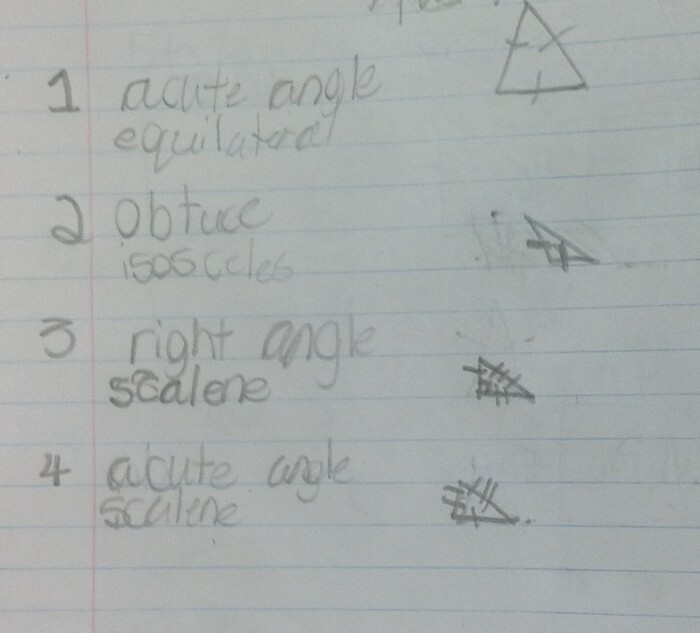 Student: I could do different shapes too. SWST: What was challenging about this task? Student B: Well that I was only thinking about squares and diamonds and I didn’t think about other shapes. SWST: How does knowing this help you to answer the question? We listened and we asked effective questions! Now we get it too! By promoting students' awareness of what they like and dislike and beginning with their strengths, we can create a dialogue surrounding the problem to solve. This dialogue promotes learning that provokes reflection, effective questioning and the engaged exploration of multiple ways of solving and understanding the problem. How did you show your thinking? 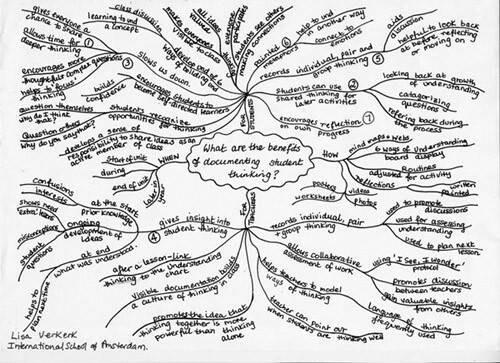 SWST: How did you show your thinking? SWST:So how many ways did you find? SWST: Do you feel confident that you found all the possible solutions? SWST: What changes did you make to solve the problem? Student C: I changed it by switching the 4 x 5 into 5 x 4 and drew different pictures…and this one I did the same thing. SWST: So how many ways would you say you have now? Student C: Four different ways. SWST: Is that different from what you had before? SWST: Why did you change it? Student C: When we looked at the video I saw another way. SWST: Do you think looking at the video helped you? Student C: It helped by showing me what I did already and I could’ve added more. 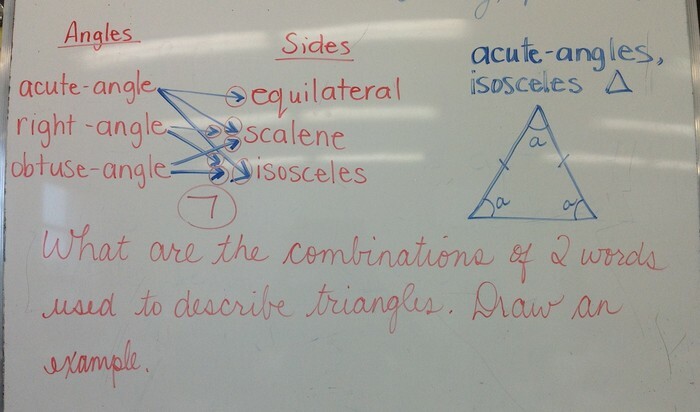 "I realized that I didn’t really know what an isosceles triangle was, I kept going back and forth and guessing." "I understood what to do and I explained it, like that an obtuse angle is bigger than 90 degrees and an acute angle is smaller than 90 degrees." 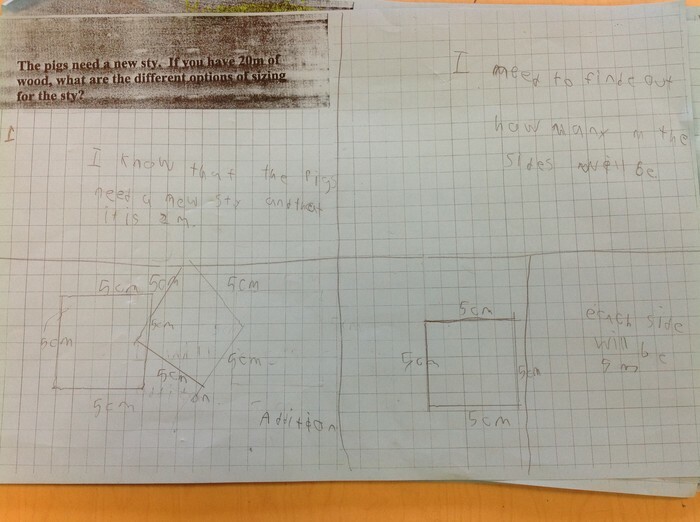 "I understand what triangles are called and why you call them that"
Through documentation of mathematical thinking it was evident that the student understood that shapes of different dimensions and their properties can be described mathematically. The product alone did not make this evidence visible, math talk and questioning was essential to deepen the students understanding.